Gibraltar urges the UK to revoke Article 50 as its chief minister sees it as the the only way "to take back control" of the Brexit process. According to chief minister Fabian Picardo, if the UK lawmakers once again reject Theresa May's withdrawal agreement, her government should rescind Article 50 - the two-year window for arranging the UK's departure. He told Sky News: "If MPs support the withdrawal agreement we can leave without having to have a catastrophic bump on the road for the UK. "If MPs do not support the withdrawal agreement then parliament has already said no deal should be taken off the table. "The Europeans are also a part of the negotiation of how you take no deal off the table. "We've seen the reaction of the president of the European Council yesterday, we can anticipate what the reaction of the rest of the European leaders will be today. "And therefore, on Tuesday MPs do not back the withdrawal agreement, the only way for the UK to take back control of the Brexit process is to revoke the Article 50 notification - even if you then seek to continue the process of Brexit. "The EU said 'we won't even start negotiating withdrawal with you until you give the Article 50 notice'. "Well, now we've seen all their cards. Let's revoke and let's slowly determine for ourselves, as a nation, together, what we want to do in the future. "I would still advocate remaining. Even if you advocate leaving, this may be the best way to engineer how the UK leaves in the future." 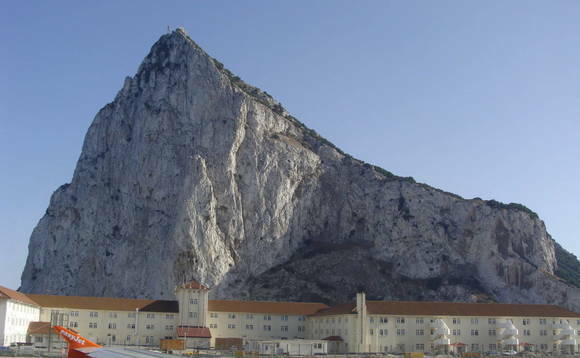 Amid the chaos, Gibraltar's chief minister says the Rock is ready for every scenario. "The unprecedented events that are engulfing the United Kingdom are politically painful to watch," Picardo told the local news outlet Chronicle. "In Gibraltar, the Government has done its job." "We are ready to leave with or without the Withdrawal Agreement, for an extension, for a revocation or for a new referendum." "In every one of those scenarios, we have protected Gibraltar's position or planned how we will react in the best interests of Gibraltar and its people." "The unrelenting hard work we have done in the past three years is paying off now as Gibraltar can see we have covered all bases going forward." "Whichever way the UK Parliament and the Prime Minister now finally decide to go, whatever extension the EU may or may not agree, we have a route map forward for Gibraltar." "That was our key job. It's what we have successfully done."